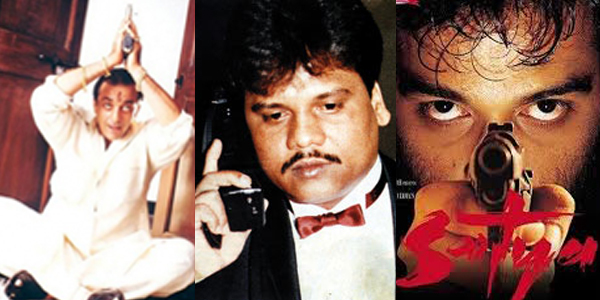 Raaga.com: Has Chhota Rajan employed Bollywood trick to escape attack on his life from Dawood shooters! Has Chhota Rajan employed Bollywood trick to escape attack on his life from Dawood shooters! Bollywood is packed with innumerable gangster movies like SATYA, SHOOTOUT AT WADALA, VAASTAV, D-COMPANY etc. depicting how hardened criminals and gangsters take police custody as the best option to escape attack on their lives. Hence though the arrest of Chhota Rajan aka Sadashiv Nikhalje, the former henchmen turned arch rival of International Dawood Ibrahim at Bali in Indonesian may be considered as the biggest achievement, however the Mumbai Police smell a rat. If sources in the Mumbai Police are to be believed then Chhota Rajan has been inspired by Bollywood films! Inspired from Bollywood? It may be shocking but just as most Bollywood films depict criminals taking shelter in police custody to escape attack on their lives likewise few top notch officials in Mumbai police feel that Chhota Rajan has fabricated his own arrest.